Do you run a busy SMB and feel the need to graduate from your antiquated business phone to a more fitting solution? Are you feeling a little hesitant to jump into the big bad world of call center software? If you answered “Yes!” to either of those questions, you have come to the right blog post! 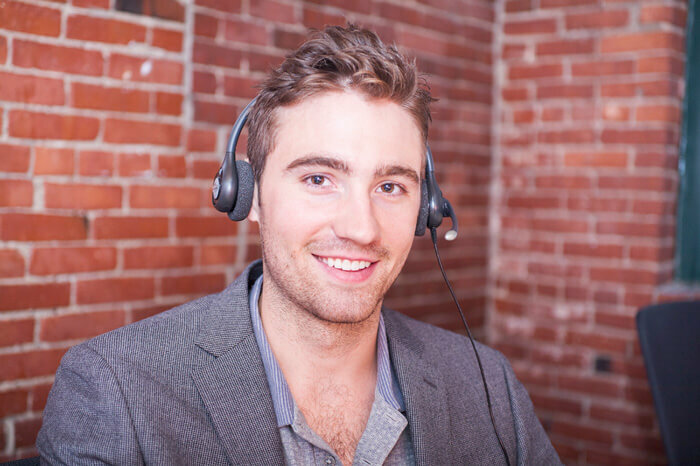 This blog post will walk you through the process of creating your own call center in five easy steps. Don’t think it’s possible? Read on my friend! The first step to creating a call center is determining what features and functionality your team needs in their call center software solution. 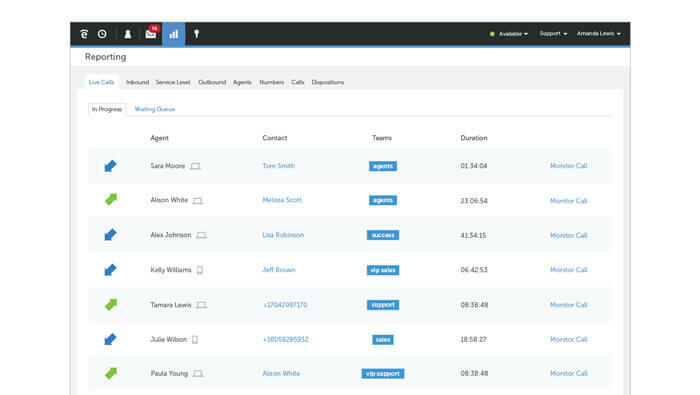 In order to determine their needs, take some time to sit down with representatives from a few different departments, your executive team and your management team and ask them the following: What are you hoping to gain with our new call center software solution? How will our new call center software help you accomplish these goals? What are some of your must-haves and can’t haves? What features do you think will be most helpful to you and your team? Once you have a solid understanding of your team’s needs, consolidate your list into a concise list of must-haves and can’t haves and move on to the next step. Once you have your list of must-haves and can’t haves, it is time to select the right call center software. I know, this sounds a little too obvious, right? However, in order to create a call center in five steps, you have to select the right call center software. Anyone who has spent even a minute researching call center software knows why. However, if you are new to this space, don’t take it from me, take it from a Frost and Sullivan survey. They found that in addition to being more cost-effective, one of the top reasons for selecting a more progressive call center software solution, like a cloud-based or browser-based call center software, over their on-premise counterparts is their rapid time to deployment. So allow me to save you a lot of time and headache – selecting either a cloud-based or browser-based call center software solution are the only two options if you want to create your call center quickly. Period. Once you have selected the right software, it is time to optimize its configuration. To accomplish this, you must first take a look at your list to see which features your team needs to get their job done right. For example, Uniplaces, a marketplace for student housing, decided that they needed a call center software solution that had skills-based routing so they could connect callers from different demographic regions to agents who spoke the language from that region. Once you have considered your team’s must-haves, you should also think about the features that your customers might find useful. A good place to start is an easy to navigate IVR, efficient skills-based routing, callback from queue and self-service options in your IVR. Now that you know exactly which features your team will use, you must make sure that they are configured to perfection. To accomplish this, analyze why customers are calling, which agents they should speak with and which of their issues can be resolved without speaking with an agent. Then, make sure the top five reasons why customers call are the top five options in the first menu of your IVR (i.e., “Press 1 for sales, 2 for support…”) and that callers can easily navigate to a recorded message quickly if necessary. Once you have optimized your IVR configuration, ensure that your greetings and messages are appropriate for each IVR prompt, and voicemail. Finally, make sure that your skills-based routing is optimized by assigning tags to your agents based only on specialized call types (i.e., the outliers from your analysis about why customers call). This is because all of your agents should be trained to handle the most common issues, while each agent should have specialized customer service training to handle more unique issues – these are the tags you should assign to them for skills-based routing. Keep in mind that when it comes to configuring your IVR, messages and skills-based routing that you should keep things simple so your team and customers will be less likely to encounter issues. Now that you have your call center software configured, test it out using different business use cases to ensure that callers can easily navigate to where they need to. 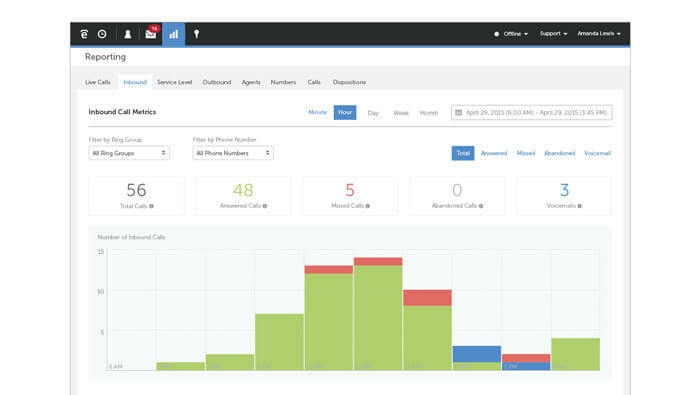 Once you have this optimized, ask someone who is new to your call center software to test out different scenarios to make sure your call center software features are configured optimally from a caller’s standpoint. Going the extra mile when deploying your call center software could save you hours of troubleshooting – and handfuls of frustrated callers down the road. Once your call center software is configured, the next step is to train your agents how to most effectively use the software. Make sure your training is hands-on and practical as agents will learn quicker by getting their hands dirty. You should also enhance your curriculum by showing videos, bringing in agents who are already proficient with the software to field live calls on the big screen, role playing common use cases and providing agents with training manuals. Don’t forget to include troubleshooting tips as well as what to do when they encounter an issue so that your team doesn’t feel lost when the inevitable happens. Ensuring that your agents know all the ins-and-outs of your call center software before going live with it is key to a successful transition. 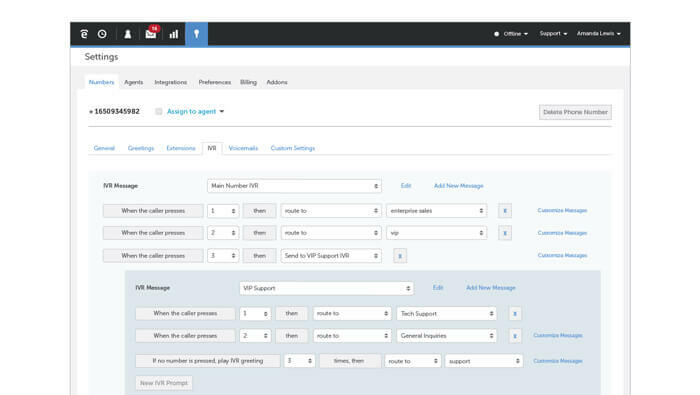 Deploying new call center software takes more than a set-it-and-forget-it approach. Managers must be prepared to run into a few bumps in the road – and help to resolve issues as quickly as possible in order to mitigate any impact on the customer. As such, they should have as much help on the ground floor (i.e., network engineers, technical support agents, a representative from the call center software vendor, a teammate who is proficient with the call center software, etc.) as possible during the first two weeks to help iron out any wrinkles. They should also constantly monitor live calls, utilize whisper coaching to guide agents without the caller knowing and analyze real-time and historical data to ensure that their team isn’t experiencing any difficulties with the new software that may be impacting the customer. During the first week of using your new call center software, managers should also ramp up their training and coaching sessions. They should meet with each agent one-on-one and provide them with both qualitative (i.e., feedback from customers, notes from in-person observation, data from call recordings, etc.) and quantitative data (i.e., first call resolution, customer satisfaction scores, etc.) about their performance. For example, they might play back a call that the manager found they could have improved and role play an optimized interaction to use the next time a similar issue occurs. Managers should also provide effective feedback based on this data and develop a concrete action plan to remediate any issues. In addition to meeting with each agent one-on-one, they should also meet with all agents for a group touch-up training session. During this session they should share performance metrics for the entire call center, call recordings demonstrating key points and screencasts of live calls. Taking a more collaborative approach during this training session will help to facilitate the learning process, more efficiently iron out any wrinkles and allow agents to develop a more comprehensive understanding of how to use their new software. Consistently monitoring your team’s performance, providing them with qualitative and quantitative data and concretizing a plan to optimize their performance will help to ensure that any bumps in the road are swiftly remediated following the deployment of your new call center software. Once you navigate through these five steps, take some time to congratulate yourself. If you make it through the entire call center software selection and implementation process unscathed, you deserve some recognition. It means that you leveraged the right solution, you are the master at sifting through piles and piles of software that aren’t a great fit, you are an amazing team leader/coach or all of the above. Either way, you made it! 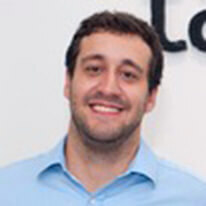 Tiago Paiva is CEO and Co-Founder of Talkdesk, the world’s leading browser-based call center software. 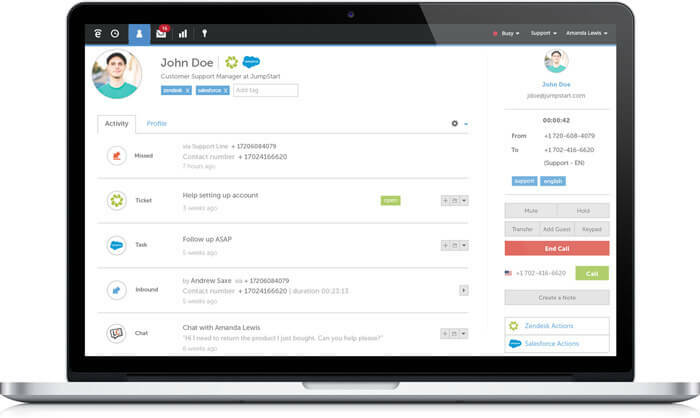 Find out how to create your call center in five easy steps with Talkdesk.